This paper studies the problem of improving the effectiveness of computing dependent tasks over the Internet. 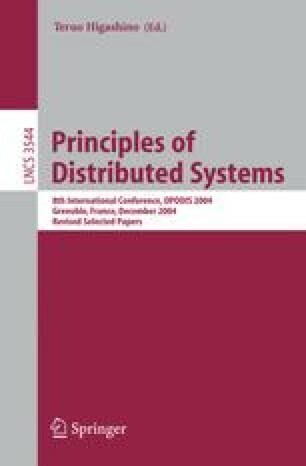 The distributed system is composed of a reliable server that coordinates the computation of a massive number of unreliable workers. It is known that the server cannot always ensure that the result of a task is correct without computing the task itself. This fact has significant impact on computing interdependent tasks. Since the computational capacity of the server may be restricted and so may be the time to complete the computation, the server may be able to compute only selected tasks, without knowing whether the remaining tasks were computed by workers correctly. But an incorrectly computed task may render the results of all dependent tasks incorrect. Thus it may become important for the server to compute judiciously selected tasks, so as to maximize the number of correct results. In this work we assume that any worker computes correctly with probability p<1. Any incorrectly computed task corrupts all dependent tasks. The goal is to determine which tasks should be computed by the (reliable) server and which by the (unreliable) workers, and when, so as to maximize the expected number of correct results, under a constraint d on the computation time. We show that this optimization problem is NP-hard. Then we study optimal scheduling algorithms for the mesh with the tightest deadline. We present combinatorial arguments that completely describe optimal solutions for two ranges of values of worker reliability p, when p is close to zero and when p is close to one. Contact author: Grzegorz Malewicz, Department of Computer Science, University of Alabama, 116 Houser Hall, Tuscaloosa, AL 35487-0290, USA, Fax (205) 348-0219.